Most of us have seen various depictions through movies of the events leading up to and including the crucifixion and resurrection of Christ. Some may have even felt a tinge of hostility toward the religious leaders and Roman rule who so viciously had Jesus beaten, tortured and put to death, as if they were actually in control of the events. The accounts of Jesus’ betrayal, arrest and trial are similarly recorded in the four gospels. But the account John gives us has one added observation, one that leaves us with no doubt that the only person who had total control of the events that night was in fact Jesus. John 18:1-5; 18 After saying these things, Jesus crossed the Kidron Valley with his disciples and entered a grove of olive trees. 2 Judas, the betrayer, knew this place, because Jesus had often gone there with his disciples. 3 The leading priests and Pharisees had given Judas a contingent of Roman soldiers and Temple guards to accompany him. Now with blazing torches, lanterns, and weapons, they arrived at the olive grove. 4 Jesus fully realized all that was going to happen to him, so he stepped forward to meet them. “Who are you looking for?” he asked. 5 “Jesus the Nazarene,” they replied. “I am he,” Jesus said. (Judas, who betrayed him, was standing with them.) 6 As Jesus said “I am he,” they all drew back and fell to the ground! Jesus God invoked the very name He had given in response to Moses when asked “who should I tell them has sent me?” God said “tell them I Am has sent you”. At the very verbalizing of the name ‘I Am” all who came to arrest Jesus were given full disclosure if they had any doubt of who Jesus really was-God! Who was in the crowd that came that night to arrest Jesus? The gospels give us enough information to determine that it was a mixed crowd of select religious leaders, the guards of the Jewish temple and Roman soldiers-Jews and Gentiles alike. It is given through Peter’s response in slicing off the ear of one of the religious leader’s servants that even the disciples were shaken at the betrayal and arrest of Jesus, so His response of “I Am” and the resulting “we all fall down” that they witnessed served to assure them too that Jesus was in total control. I can’t help but imagine the reaction of the religious leaders when they found themselves on the ground at the mention of the name “I Am”. How long did they sit there? Were they in shock? Did they begin to question their authority or Christ’s deity? How could they just get up, shake the dust from their cloaks and continue in this arrest? What about the Roman guard? They were strong and feared men who ruled by force and intimidation. They were reportedly carrying swords on their person. 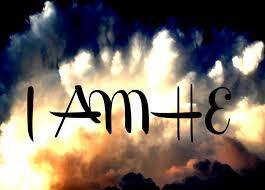 But at the mentioning of the name “I Am” they too were knocked backwards to the ground by the power of Jesus’ words. There should have been little doubt to all who were present that night, the religious leaders, the Roman guard and the followers of Christ that this man was God in the flesh and in charge of the situation. 30-32 Jesus warned them to keep it quiet, not to breathe a word of it to anyone. He then began explaining things to them: “It is necessary that the Son of Man proceed to an ordeal of suffering, be tried and found guilty by the elders, high priests, and religion scholars, be killed, and after three days rise up alive.” He said this simply and clearly so they couldn’t miss it. Those who heard these words at the time perhaps did not fully grasp what Jesus was predicting. I’m quite certain that given the crucial role the disciples would eventually play in the birth of the new church and the new gospel, Jesus needed them too to be reminded that night that His betrayal and arrest was prophetic and being orchestrated as part of the plan of salvation set forth from the beginning of time, when Jesus was the Word and was with God and was God. 11 Then Jesus said, “You would have no power over me at all unless it were given to you from above. In no way is this a suggestion that Jesus laid aside the physical aspects of His humanity as to not suffer pain. Any inferred implication that this was the case is not supported by scriptural texts. Jesus was fully God with complete power and control but yet fully man, responding to the torture and pain as any mortal man would. Luke is quick to record for us the physical elements of Christ’s suffering. Jesus was clear and deliberate to everyone present at the time and all who choose to observe His recorded words today that He voluntarily surrendered His life-laid it down and relinquished physical control, suffered the humiliating torment of suffering and death ascribed to the common criminal of that period out of a pure love we can never fully comprehend. Jesus God allowed Roman guards to beat Him about the face, pull out his hair and beard, spit on Him, mock him, discriminate against Him and publicly bully Him. He didn’t demand his rights-He didn’t sue for defamation of character or false arrest-He didn’t accuse the leaders of profiling or religious bigotry. He simple gave us His life of His own free will as the ultimate and supreme sacrifice for all mankind for all time to come, because He wanted to, because He could and because He loved us that much. The Great I Am proved His submission to us. How unworthy I am for such a sacrifice.